Earlier web hosting was meant to hire computer memory for ones website. However, with advances in technology and decrease in hardware prices, hosts have been providing increasingly ready made features, to attract potential clients. Microsoft Windows is one of the operating systems commonly used on servers by web hosts. It supports advanced technologies like Cold Fusion that are required to create and maintain dynamic websites. 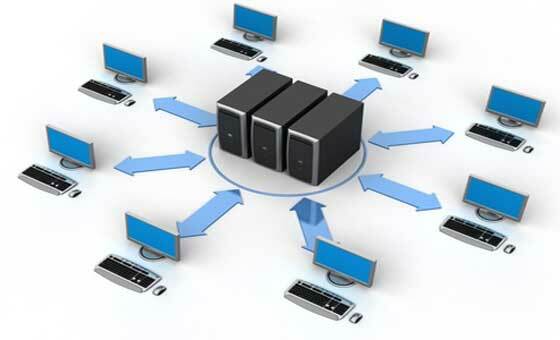 Managed host servers may also provide services like ASP, ASP.net Access, and MS SQL support to maintain websites. Linux and UNIX servers are meant for clients, who require websites based on open source technology, such as PHP and MySQL. It ensures a better data security compared to other technologies. The easy availability, and open knowledge about the codes help in upgradation and customization. Unlike windows, it does not require renewal of license frequently. There are list of tools that have become an accepted standard for web host. These include CGI, Ruby (RoR), Perl, PHP, MYSQL, and so on. These enable the web master to maintain and upgrade their websites without having to worry about unsupportive platforms. Often, hosts provide easy to set up functions that are common to all websites these include incorporating PayPal services, mail servers, virus prevention, and so on. The advent of virtualization has rapidly expanded the number of options before the client. These include a combination of features put in together to form a package. Each package varies from the others in terms of cost, speed, disk space, data transfer speed and other additional features. Although, finding the ideal one may not be easy for a significant number of web masters, there are some simple points that may help to identify the best. The web master has to identify the possible amount of traffic that is likely to be attracted. The amount of information that is likely to be stored and the frequency and nature of up- gradation has to be decided beforehand. A web site with few, but highly interesting pages requires less disk space, and also requires a high bandwidth and faster data transfer capacity. Sites that require user registration usually cater to a specific and targeted audience. These require a secure transfer of information at a consistent speed. Such sites may have a fixed number of email accounts and data content at any given time. They work well with more disk space and comparatively average data transfer speeds. The webmaster must decide the extent of content that will appear on the site and the amount of interactivity that is expected. The packages on offer are designed to suit a majority of websites. These include sites with a huge number of pages and complexity that cater to a fixed number of clients. These can take up packages providing large disk space, with limited email accounts, and with limited data transfer rates. Sites, which are used as online stores may witness a huge traffic. These are better served with relatively small disk space, fast data transfer, unlimited email accounts and so on. While virtualization has improved customer service, risks such as theft of data and security breaches into private and personal information databases have to be monitored. Success of web sites depends on how easily and quickly users reach them in their quest for information. Many web hosts also offer services that improve the image of websites in the evaluation criteria of search engines. Spreading marketing strategies across numerous domain names on many IPs, and class Cs increases online exposure. These hosts provide multiple Class C IP addresses with each web account, thus increasing the chances of better rankings for the web site. These hosts are especially helpful for those web masters, who do not have the requisite resources to work towards SEO optimization, after the initial designing.